If you're serious about taking your career to the next level, you need to be on LinkedIn. 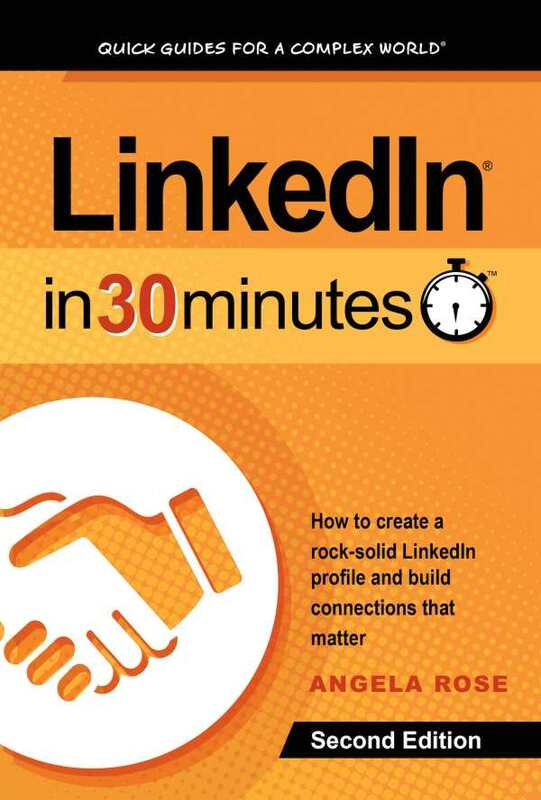 In LinkedIn In 30 Minutes (2nd Edition), author Angela Rose will show you how to make a rock-solid LinkedIn profile and expand your network. Whether you want to find a new job on LinkedIn or advance your career, this guide can be the blueprint for a supercharged LinkedIn strategy. Topics include registration and profile best practices, networking strategies, and how to find jobs on LinkedIn.